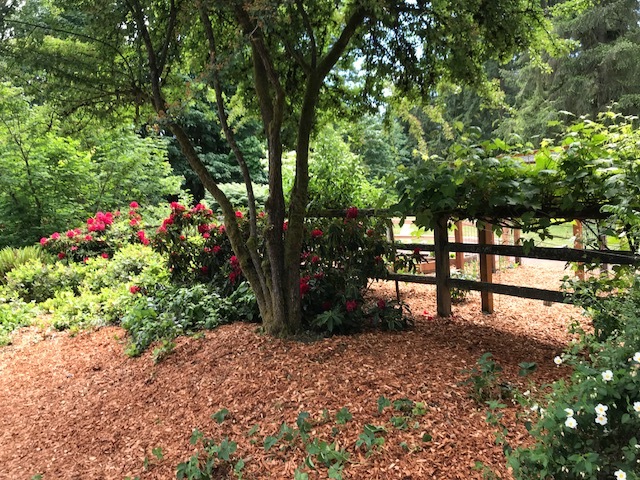 Saturday morning, June 2, 2018 a group of Master Gardeners, park volunteers, and members of the Shorecrest Environment Club came together at Animal Acres Park for a large clean up event. The area around the demonstration garden was weeded and chips were put down. 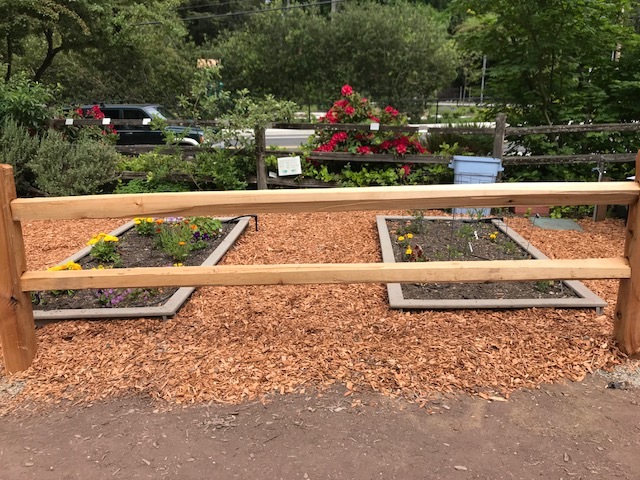 The garden now has a new split rail fence which was a joint effort by the City and the gardeners. Our talented volunteer Mike Vetersneck assembled the fence, which adds a great deal to the garden area. When that was completed the area at the front of the park on 178th Street was weeded and chipped. This was a massive effort and the area now looks much better. Thanks to all the wonderful volunteers and their great efforts to accomplish this task.